Bluemercury Beauty in Bloom Event 2019 has begun. Get a free 13-piece deluxe gift with any $125 purchase. Here are the links, prices and quick summary of each item in the Bluemercury Beauty in Bloom gift bag! Bluemercury (NEW) Bluemercury Beauty in Bloom Event: get a free 13pc gift with any $125 purchase. See what’s in the bag here. This post may contain affiliate links. Read the full disclosure. REN Clean Skincare Friends & Family Sale Event 2019! Save 20% off your order — SALE Ends TONIGHT! 20% off during REN Clean Skincare Friends & Family Sale. Use code FRIENDS. Plus, two new beauty bags: a hot Bluemercury Spring Beauty Bag 13pc deluxe gift with any $125 purchase and Walgreens Beauty Enthusiast Gift Bag 2019 for you! This post may contain affiliate links. Read the full disclosure. *HOT* Bluemercury Free Gift Card Event 2019 and Nordstrom National Fragrance Day One Day Only GWP!! RUN! NORDSTROM celebrates National Fragrance Day 2019: Choose a Deluxe Sample with Purchase. On March 21 only, with your $25 beauty or fragrance purchase, choose from 10 deluxe samples. Bluemercury is offering 10% Off sitewide + Earn $20 Gift Card with Every $100 Purchase (La Mer, Oribe, NARS, Tom Ford and more). Plus, I’ll list hot beauty offers and Clnique Spring GWP at Macy’s + beautyhabit offers. Bluemercury (NEW) GIFT 1: 4-day only event: Spend $100 get $20! Spend and Earn, customers can earn up to $100. Up to $100 gift card. No promo code required. Valid 3/21 – 3/24. Combined with GIFT 2 and GIFT 3. This post may contain affiliate links. Read the full disclosure. Brexit date is Friday, March 29, 2019, what will happen to Cult Beauty? Right now Cult Beauty is offering 5 free samples with £50 purchase – ships worldwide. 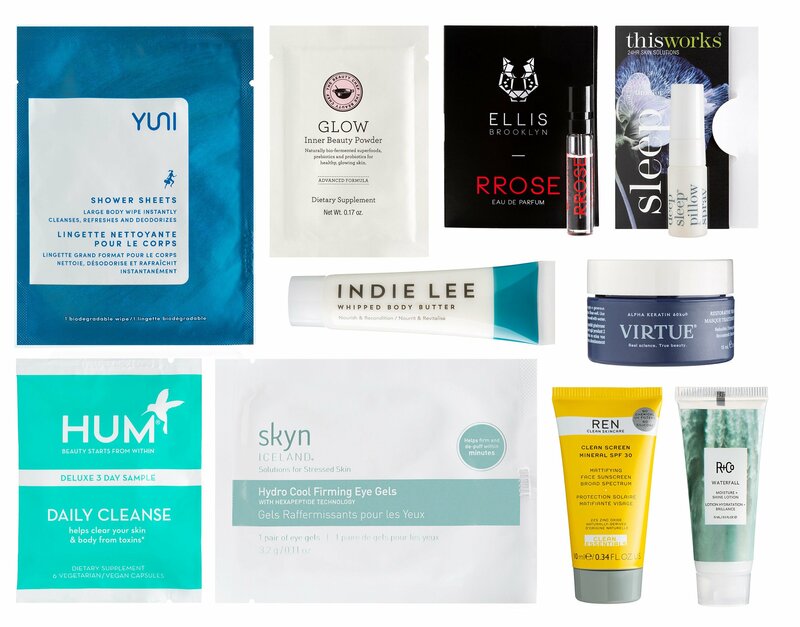 I also want to highlight the very best double free goody bags at Skinstore Anniversary Sale 2019 that runs through March 23! Cult Beauty (NEW) GIFT 1: Add five beauty samples to your cart when you spend £50 no code needed! This post may contain affiliate links. Read the full disclosure. You’ll love the new Skinstore 22-piece anniversary beauty bag worth over $250 with any $200 plus 25% – 30% off Anniversary sale and more brand specific GWP offers. I’ll also share hot new Rue La La offer! SkinStore (NEW) Get a FREE 22-piece Beauty Bag (worth over $250) when you spend $200 or more during SkinStore’s 22nd Anniversary Sale. This post may contain affiliate links. Read the full disclosure. It’s Estee Luader GWP at Lord & Taylor March 2019 only! Customize 7pc gift with $37.50 Estee Lauder purchase + free shipping and two step-up gifts! My favorite sitewide beauty gift with purchase today is at Skinstore – they are offering double gift bags worth at least $188 with your $125 purchase! Lord & Taylor (NEW) GIFT 1: Estee Lauder Free Gift + Free Shipping, Customize your Free 7-piece gift with any $37.50+ Estee Lauder purchase, up to $145 value. This post may contain affiliate links. Read the full disclosure. Bluemercury (NEW) GIFT 1: 15% off $100+ purchase with code SAVE15. Valid 2.17 – 2.19. GIFT 2: Receive this deluxe 5-piece gift featuring a curated selection of our favorite complexion-perfecting samples with any $125 purchase – no code needed. This post may contain affiliate links. Read the full disclosure. There is a new Bluemercury gift bag – just in time to grab new Chantecaille palette, new Hourglass foundation or new Tom Ford lip lacquer luxe matte! Riley Rose February gift bag is available now + flash sale! Bluemercury (NEW) Receive this deluxe 5-piece gift featuring a curated selection of our favorite complexion-perfecting samples with any $125 purchase – no code needed. Samples include: Everyone, I was just updated the next gift with purchase page here, enjoy! This post may contain affiliate links. Read the full disclosure.